The Commission’s Vision for its work is that children and youth in Philadelphia, across the state of Pennsylvania, and around the country will benefit from and grow up with the emotional, social, physical, intellectual, spiritual, and financial support of both of their parents in a healthy and supportive environment. The Overarching Goal of the Commission is to “model” Philadelphia as the most Father Friendly City in America, by eliminating the systemic barriers that work against increasing father inclusiveness in all systems of care that address the well-being of children, youth, and families. Achieving this goal can propel the Philadelphia model of father integration into a successful example for the rest of the nation to emulate. As a principal Strategy, THE COMMISSION does its work by partnering with children, youth, and family-focused agencies and systems of care to increase their capacity to include Fathers in their service delivery models that are designed to improve the well-being of the children they serve. The term Commission denotes a group of people officially charged with a particular function, i.e. finding information about something. See Merriam-Webster Publishing Company. In the case of The Strong Families Commission, Inc., the charge translates into eradicating Philadelphia’s systemic barriers that impede father involvement in the life and well-being of their children. 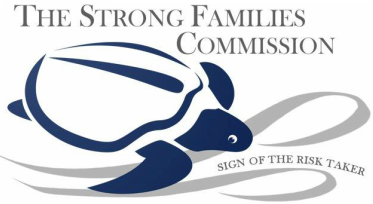 As citizens of America and members of THE STRONG FAMILIES COMMISSION, INCORPORATED; we the Commissioners charge ourselves to identify systemic barriers to Father's being in the lives of children and families, and advocate for the elimination of such barriers that impede father's involvement.